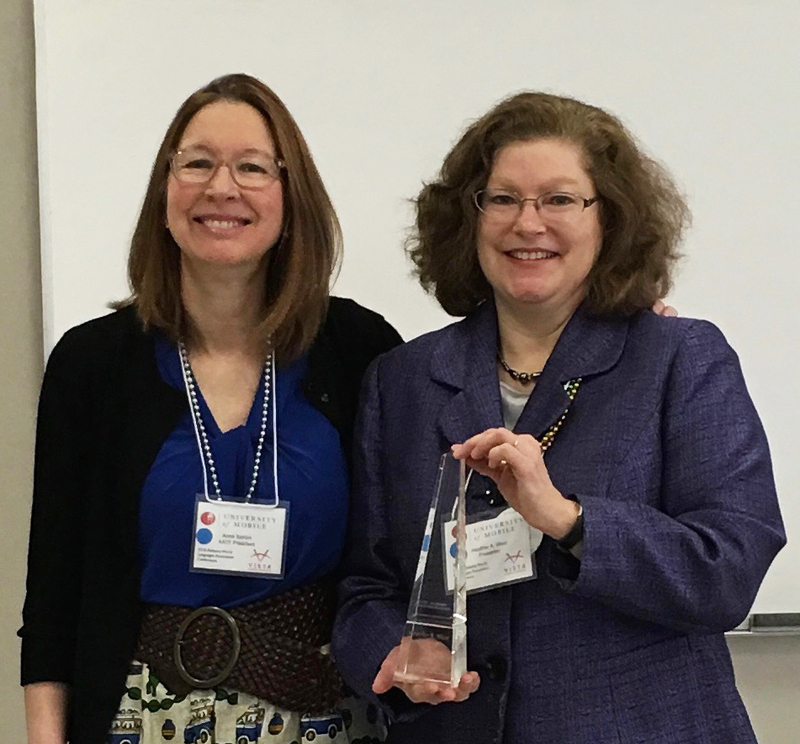 Samford University World Languages and Cultures professor (French) Heather West was honored with the American Association of Teachers of French (AATF) Prix d’Excellence Award at the Alabama World Languages Association meeting Feb. 2-4. The Alabama Chapter of AATF presented the award, which is the highest honor it offers. West founded the Samford in France program in 1996 and has coordinated the study abroad experience for many students in Grenoble and Paris. She has frequently been honored for her teaching and service in professional associations. In 2015 she was named a Chevalier de l’Ordre des Palmes Académiques (Knight of the Order of Academic Palms) by the government of France for her eminent service to French education and contribution to the prestige of French culture.